The UPRIGHT PIANO is ideal for productions that derive their charm from little eccentricities and imperfections. When something other than the "perfect" piano sound is required, this Powered by Kontakt instrument offers a distinctly charismatic signature sound - perfect for use in a broad range of styles including blues, jazz, country, pop and rock. Adapted from Native Instruments' legendary AKOUSTIK PIANO software and manufactured with the same attention to detail as the BERLIN, VIENNA and NEW YORK grands, this is an instrument that sounds original in every way. 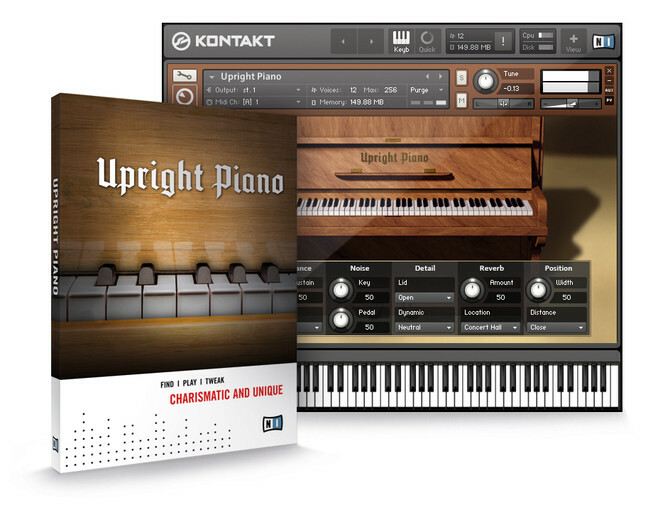 The UPRIGHT PIANO is a traditional, quality piano with a warm, charismatic and compact sound. Time and time again, original artists and critics alike have hailed it as the "Best Concert Piano". In comparison with the real piano, it easily stands up - the UPRIGHT PIANO reveals a decay and rich sound full of nuances, power and poetry.